This is the current stable release of ProfitUI Community Edition. This edition supersedes all prior versions of ProfitUI and is the only edition actively supported. The utility contained in this release will install ProfitUI Community Edition. 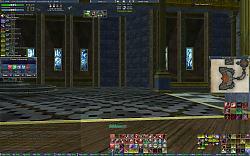 It will also optionally install / update EQ2MAP. 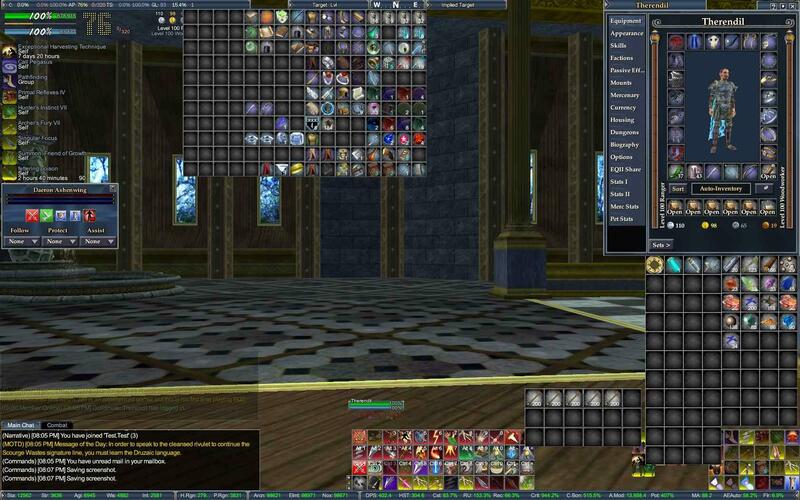 To use ProfitUI Community Edition, simply unZIP the utility and copy it to the /UI folder of your EQ2 installation. If you have Test or Beta installations, copy the utility to the respective /UI folders those as well. If you questions about any aspect of ProfitUI Community Edition, post your questions in the ProfitUI forum. This forum is actively monitored and your questions will be answered to the best of our ability. I want to say THANK YOU to the person(s) responsible for taking over the management of this addon. I used profit when it first came out and loved it, was really disappointed when it became abandoned and am very impressed with the new reworked version of the updater. You folks need to give lessons to every other addon developer here on how to package an update utility for public consumption. Has there been any updates to this for higher resolution monitors? on a 1440p display everything is small and not resizable? Is there an update coming out for a working guild window for the new expansion? Thanks. An updated Guild window is on the updater. Please post in this thread if you have any problems with it. Is there a version in the works that will work with the new expac ? 1) Log out of the game, then on the Files tab of the ProfitUI_CE utility click "Make this UI the default." If it already says that, click it twice: once to clear the default and then once to set it again. Now restart the game and you should see ProfitUI. 2) If this doesn't work, type /loadui and then pick ProfitUI Community Edition from the window that pops up. It's best to restart the game after doing this. Thanks! I used the /loadui command like you suggested and got it to work. I've been using ProfitUI for years, to include the updated CE version. 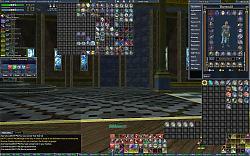 Recently I downloaded/installed EQ2 on my laptop but can't seem to get ProfitUI CE working. 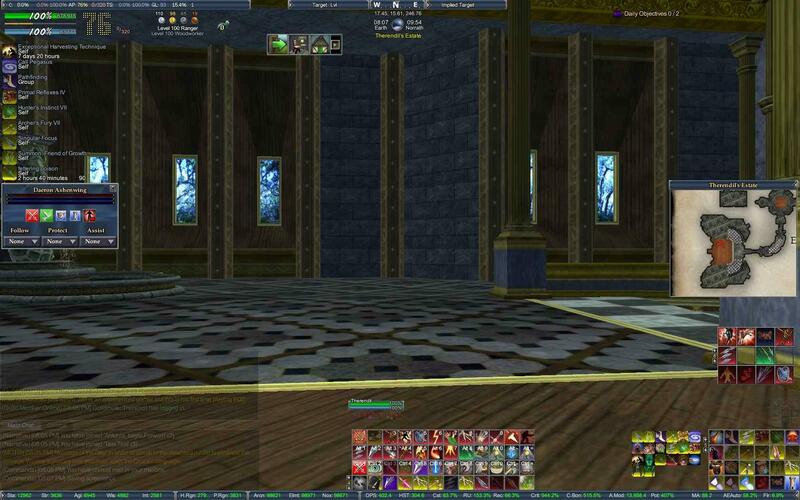 I unzipped the utility to the EQ2 UI folder like always and ran the updater. Everything seems to have installed correctly and the eq2.ini file reflects the correct ProfitUI skin, but when i log into EQ2 and the character i want to play it is showing the default UI. I've been using this custom UI on my desktop for years and don't remember having this problem before. Is there something I need to do in game to switch from the default UI to ProfitUI CE? The Examine window is still giving an error. Is there an update in the works for it? Is there any way to use just a few of the mods instead of the whole thing? If you look in the file _ProfitUI_Cures.txt one of the first lines is for Cancel Spellcast which you can change from false to true. Is that what you're looking for? That is exactly it, thank you so much. Is there a change I can make so that it auto loads my ui with cures interrupting casts rather than making me pick it every time? Im sure there is Im more asking exactly what and where I need to change it. Thanks in advance! Since the button exists for the Infocenter, what is required in order to get it to work? It used to be there, but isn't now, and would be really nice if it worked again. The InfoCenter from ProfitUI is available as an add-on here. Please post a comment on that page if there are any problems with it. I’m just getting back into the game after about a one-year leave of absence. I reinstalled profit UI CE just like I have always used in the past but I noticed the bars on the very top of the screen in the bottom of the screen are no longer colored their gray and you could barely see the numbers and percentages in the grade out boxes is there a specific setting that I need to change to get them back to original color or what am I doing wrong? If you are installing ProfitUI CE from scratch, make sure you are using version 1.0.0.1 of the installer utility (above). It has code that will prevent the white window background issue. If you already have ProfitUI CE installed, open the utility to the Themes page. Switch to the default Red theme, then switch back to the ProfitUI Classic (or other) theme.